By understanding the demands of our patrons in the best possible way, we are increasingly engrossed in offering Wedding Cateringto our clients. Delivered in tune with the standards defined by the industry, these services are enormously in demand. Due to their cost effectiveness, these provided services are hugely treasured. 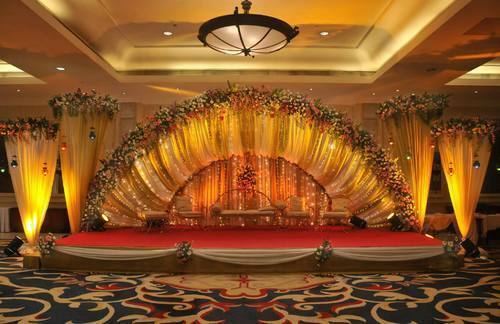 Established in the year of 2001, Swaad The Catering People is the leading service provider of Catering Services, Event Management Services, Wedding Planners and much more.The provided services are conceptualized with client-oriented approach to bring the extreme gratification to our patrons. The offered gamut of service is rendered in obedience with the quality constraints by our very capable experts who hold rich understanding in this particular field. We have chosen an adroit team of quality supervisors that value the quality of our provided services at each stage of execution to make sure that the norms are effectively met. Moreover, we follow moral business policies and crystal pure transparency in all our transactions to keep healthy relations with the customers.